The Wilcox Chargers Football team won again last Friday at their Homecoming Game. 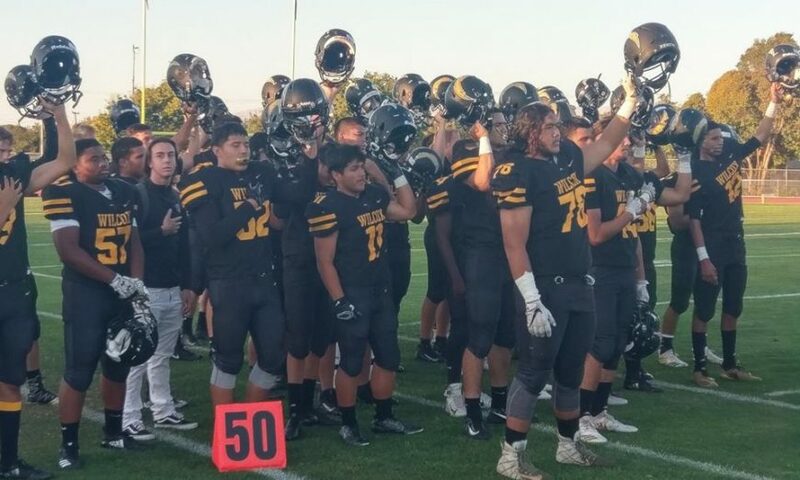 This time they won 35-21 over the Palo Alto Vikings, improving their record to 6-0. While the two-touchdown margin of victory certainly doesn’t sound like a blowout, the final score doesn’t tell the whole story. Wilcox jumped out to a 21-0 lead, dominating in their usual fashion on the ground. If not for what Wilcox believes to have been an undeserving ejection of star wide receiver and corner Ryan Cooper Jr., the final score would have been a significantly bigger margin of victory. Prior to his ejection, Cooper was shutting down the Vikings’ No. 1 wide receiver. It was the fifth-straight game for Wilcox where it was evident early that the Chargers would take the win. After a thrilling, 10-6 upset win over Valley Christian to open the season, Wilcox has more-or-less cruised to victory every week since. The Chargers’ other four wins have come by a combined score of 214-34. According to coaches within the De Anza League, the Palo Alto game was supposed to be the biggest test remaining on the Chargers’ schedule. Perhaps now, Wilcox’s biggest opponent is themselves. Sometimes a team can become over-confident, having faced such little adversity, but if that’s the biggest challenge facing the Chargers at this point, Head Coach Paul Rosa will gladly take that one head on. Chargers quarterback Alex Adame admitted he used the bulletin-board material given to Wilcox from the Palo Alto side to help fuel his fire. Vikings players reportedly were talking before the game that they would beat everyone remaining on their schedule. Wilcox churned up over 370 yards rushing against the Vikings. Paul M Rosa himself went for over 200 on the ground. On the other side of the ball, it was the first time the Chargers allowed more than 14 points this season. But the defense held the Vikings to under 50 yards in the first half. And if the team needs a reminder of adversity, there is always last year. Defensive tackle Samuela Lolo still uses last year’s loss to Valley Christian as motivation, even after beating them this season. 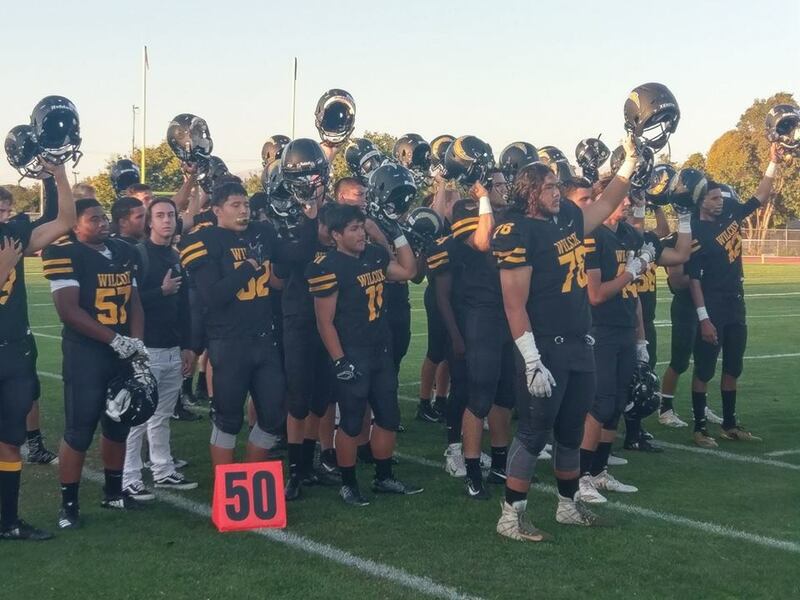 “We lost to Valley Christian last year and we worked all spring and summer to fix those mistakes,” responded Lolo. That CCS playoff game with the Lancers remains the last time the Chargers have lost a football game. Coming off that loss, the Chargers entered this season with high expectations — to win the De Anza League and win CCS. They certainly understand that in order accomplish the latter, they will probably have to go through at least one West Catholic Athletic League power. Wilcox will look to improve to 7-0 when they take on 4-2 Los Gatos next week.